If you read our last blog post about the variables to consider when booking a vacation rental over a hotel room, you may have come to the conclusion that a vacation home is the way to go for your next trip. Whether you are looking for a quaint cottage for two or you're planning a multi-family vacation for 22, there are a few key things to keep in mind as you browse the online options. So we've put together a few pointers for those of you who are on the hunt for the perfect vacation rental. 1. Browse multiple sites. Some of the best websites for booking a vacation rental are VRBO, HomeAway, Airbnb, and FlipKey. 2. Refine your search. You can narrow down your search results by number of bedrooms, cost, location, etc. Do you want a pool? Are you bringing a pet? Save yourself some time by refining your search. 3. Look at the kitchen. Look closely at the pictures displayed on the listing to gauge the age and quality of the home. A good indicator is the kitchen. Look specifically at the appliances and the countertops. If the kitchen looks run down, the rest of the home will likely be in the same condition or worse. 4. Find the property on Google Earth. 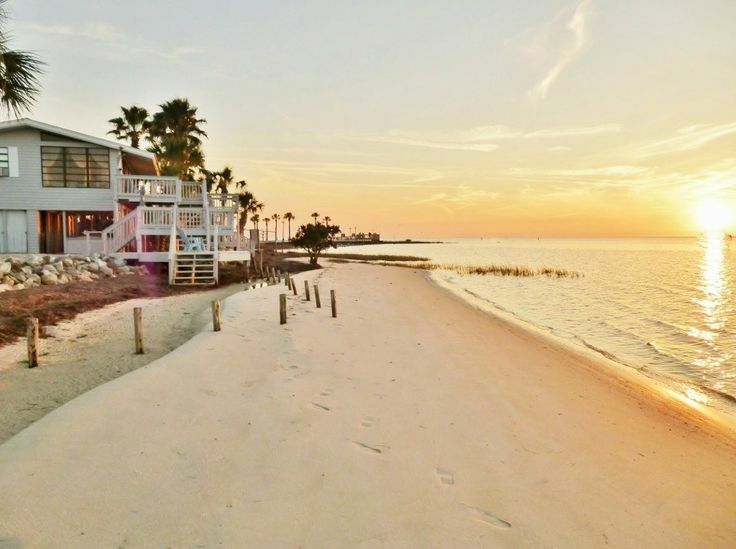 You’ll be able to get a good idea of what the surrounding area looks like, and this way you'll be able to confirm exactly what the owner means by “beach front property”. If you’re staying in a city, you’ll be able to take a look up and down the street to be sure you are comfortable with the neighbourhood surrounding the home. 5. Talk to an actual person. You can test how quickly your needs will be taken care of based on the response time of the owner or property management company. If you are renting from the owner, take the opportunity to chat with them about the local area, local attractions, and popular restaurants. 6. Ask questions. Is the swimming pool open year round? How often is the hot tub serviced? Is the grill gas or charcoal? It is also wise to ask specific questions about pets, both if you are bringing one or if you have any pet allergies. This way, you'll be sure to avoid any surprises upon arrival. 7. Read the fine print. Is there a cleaning fee or is it rolled into the cost of the rental? Are there additional taxes per night? Do you have to bring your own linens? Is the pool heated? 8. Beware of cancellation fees. Unlike hotel rooms, there are usually stiff fees for last minute cancellations on vacation rentals. Be sure that you are committed to the dates you have chosen prior to booking. 9. Read online reviews. The best reviews come from other renters, and many homes on the websites above have good reviews with detailed information. Taking time to read the reviews will often produce good information like good restaurants nearby or tips for how to use local transit system. 10. Book early. 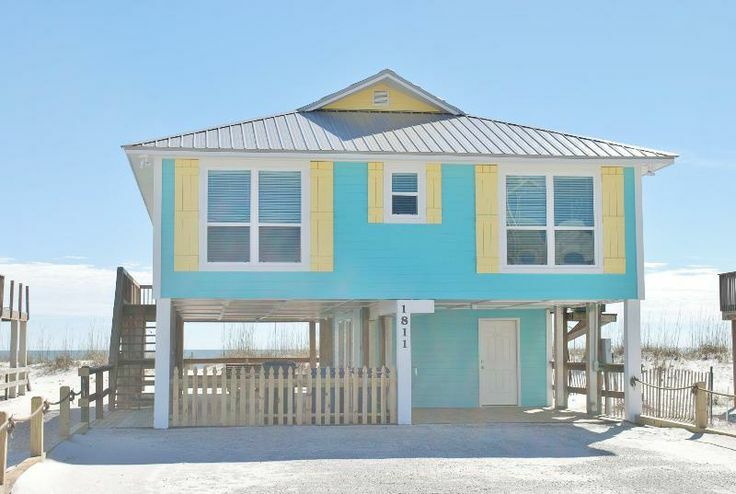 Most vacation rentals allow you to book 12 months in advance, so it may be wise to start looking 6-9 months in advance, especially for vacation homes large enough to house several families. 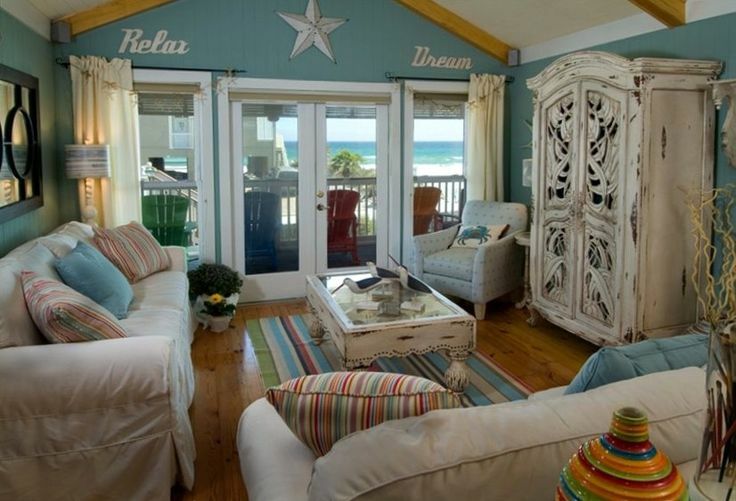 Do you have personal experience with vacation rentals? Share your tips and advice in the comments! Winter vacations certainly take the edge off of Saskatoon's longest season. 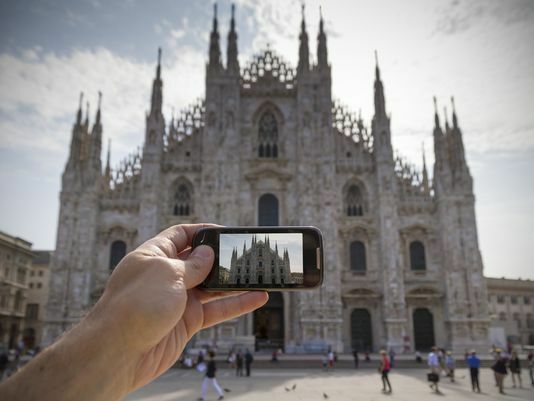 If you're planning on joining the throngs of people leaving our city for a little break this month, check out our Travel page for some helpful tips, tricks, and inspiration for everything from staying healthy while traveling to the best ways to utilize your smartphone while you're away. Today we thought we would share some tips for something that applies to most any getaway- packing. We've put together some of our favourite packing tips that are sure to make your trip prep simpler and your vacation easier and more enjoyable! 1. Taking a plane to your destination? 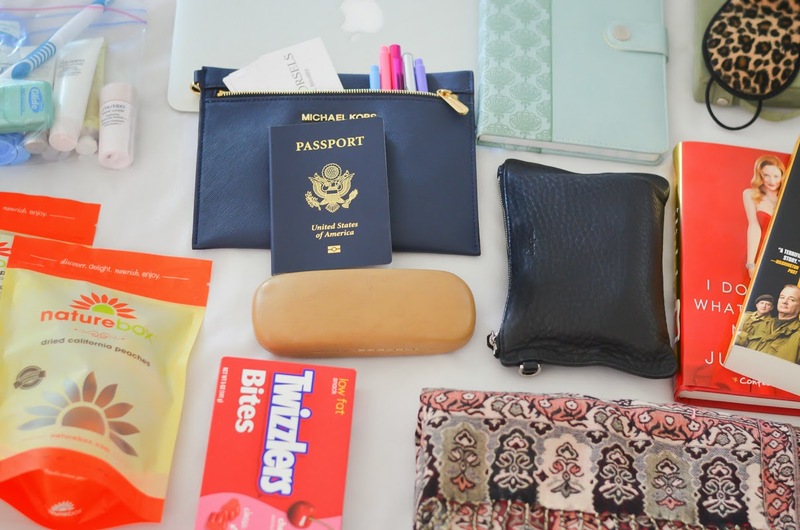 Some essentials to keep in your carry on: an empty water bottle to fill up once you're through security, gum to take the edge off of that nasty ear pressure, snacks, and lip balm. Entertainment like books or pre-downloaded movies and games are also key. If you anticipate sleeping on the plane, we also recommend bringing a sleeping mask and a large, light scarf that could be used as a blanket. 2. Doing a multi-city trip or visiting a place that will require you to lug your bags on trains and up staircases? 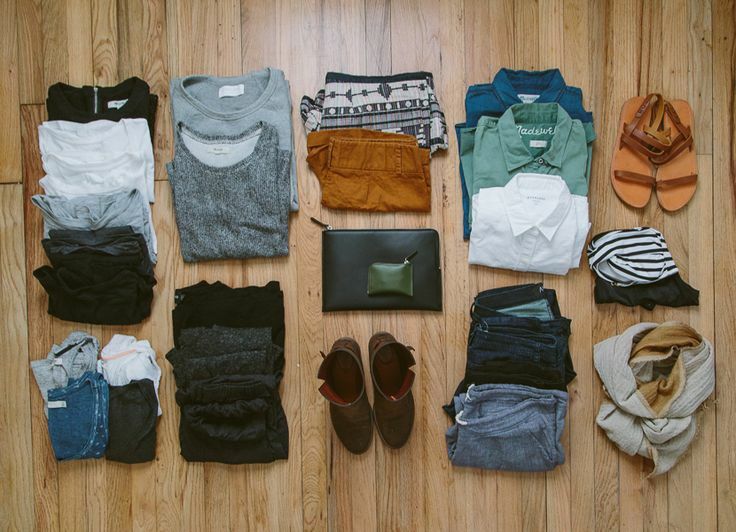 Consider bringing enough clothing for just one week and doing laundry midway through your trip. Spending a couple of hours at a laundromat beats hauling around a massive suitcase (or two)! 3. Before putting anything in your suitcase, lay out the outfits you’d like to wear and analyze which items could be combined in order to remove a couple of pairs of pants or shirts from the mix. 4. Put a shower cap around your shoes to keep dirty soles from touching your clothing in your bag. 5. You've probably heard that rolling up your clothing items saves space in your suitcase, and it does!. An even better alternative to the traditional folded and stacked method is “filing” your clothing. 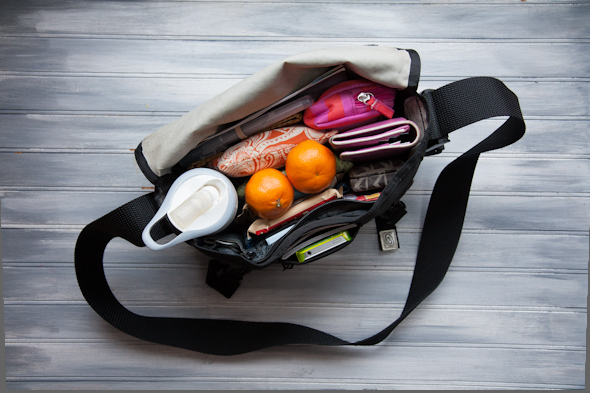 Fold each item into a rectangle and insert it into your suitcase vertically. This enables you to clearly see what each item in your suitcase is and easily pull out what you need once you arrive at your destination. Gone are the days of having to pull everything out of your suitcase in order to get to something at the bottom! Another tight packing tip: stuff belts in shoes and shove socks anywhere you see a void in your suitcase. 6. Mark your bag FRAGILE if you can. That way, the baggage handlers are likely to put your bag on the top of the pile, and it will then be unloaded first, meaning first off the carousel! 7. Long necklaces can become an unfathomable jumble after being jingled around in your suitcase, even when stored in a pocket or separate case. Avoid this by using empty pill containers to keep necklaces separate! Empty sunglasses cases or pencil cases can also be used to store computer and phone charger cords separately to avoid the inevitable tangle. 8. Throw a couple of plastic grocery bags in your bag- you never know what you’ll need them for, and they are great for wet bathing suits! 9. 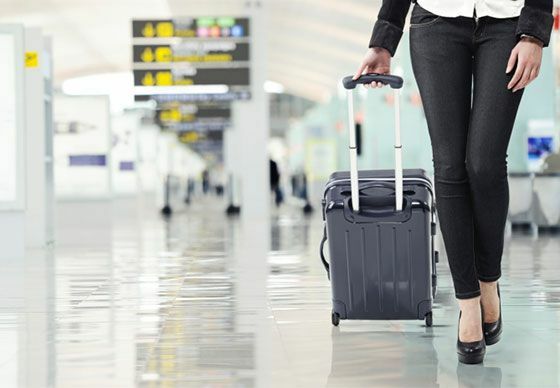 Place beauty products in the middle of your suitcase to avoid breakage. If you have glass foundation or fragrance bottles that you must bring, consider tucking them inside shoes or inside a rolled up sock. 10. Consider purchasing packing cubes like these to fit inside your suitcase. This will make it easier to put together outfits as you can separate your items into categories like "tops", "bottoms", "unmentionables", etc. 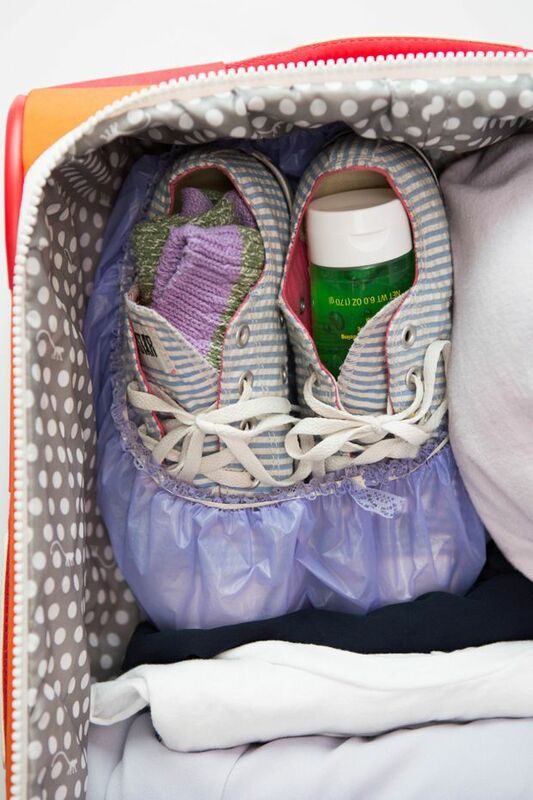 This method also works great when packing for multiple children in one suitcase, as each child's clothing can be put into it's own packing cube. 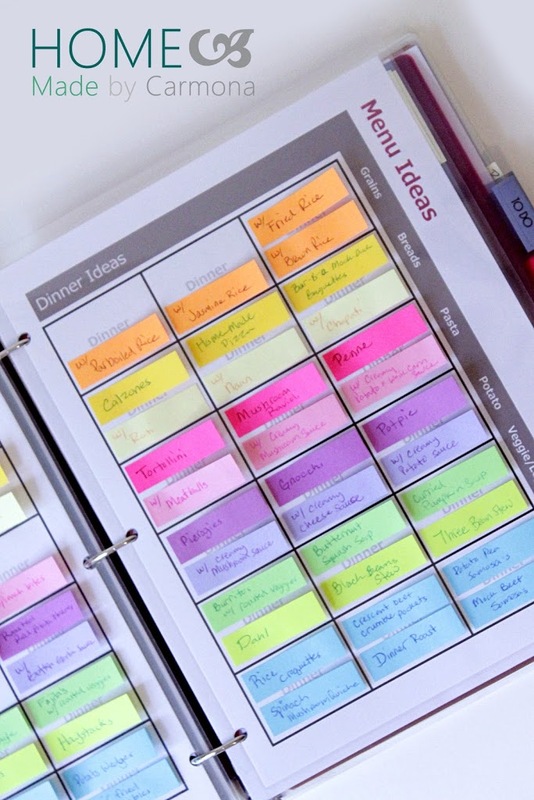 This will make mornings much easier while you're away! 11. Another tip for travelling as a family- save space by combining toiletries into one bag and share items like toothpaste and soap. 12. Packing for a theme park with toddlers and preschoolers? Some things you'll want to be sure to bring: diapers, wipes, snacks, water, spray sunscreen, ziplock bags for wet or dirty clothes or leftover snacks purchased at the park, and a muslin blanket to take the chill off in the morning also serves as a necessary sunshade in the afternoon! We hope that these tips are helpful to you as you anticipate your trip! Flowers, chocolates, wine and rose petals - the stuff tomorrow is supposed to be made of. February 14th is often perceived as the requisite day for men to kick up the romance in one way or another (which we are definitely in favour of) but perhaps it should also serve as an opportunity for the ladies to do something to honour their men. If you’re a woman, this may be something that’s already crossed your mind, or perhaps exchanging gifts is something you and your sweetheart do every Valentine’s Day. Either way, coming up with a Valentine’s Day surprise for a guy can be tough and time is not exactly on your side. So we thought we would put together a little list to help you get your creative juices flowing for things you could do to make the man in your life feel special tomorrow. 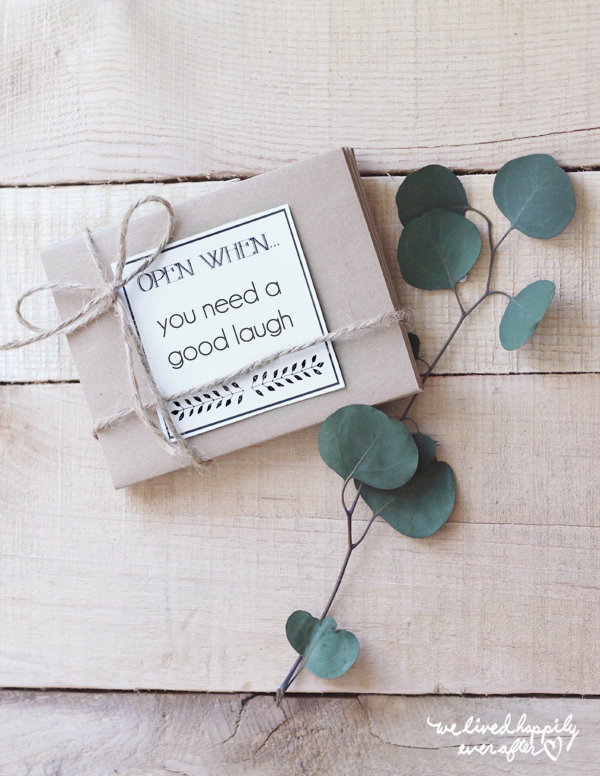 If your man loves words of affirmation, ‘Open When’ envelopes could be the perfect gift for him. Take some time to write down heartfelt messages to your guy and then categorize them into envelopes along with photos or other mementos that will make him smile. What does your man love the most? 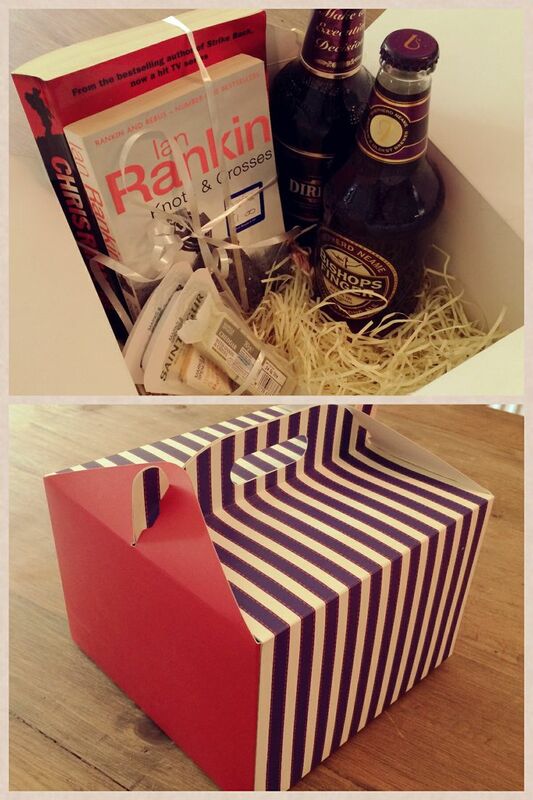 If you can come up with a list of a few small things he really enjoys, and compile them into some sort of receptacle like a box or bucket, trust us, he will love it! This can be as easy as picking up his favourite snack, sweet treat, beverage, and a couple of other items that you know he’ll love like a book, game, movie tickets, clothing item, or tech accessory. 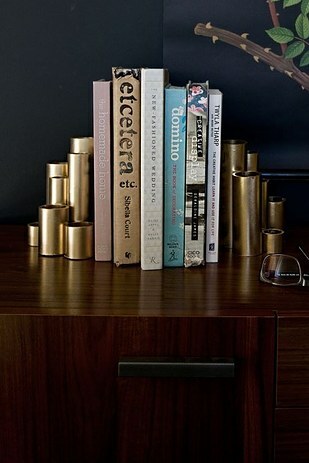 Have some extra solo time tonight and the will to do a crafty little DIY? 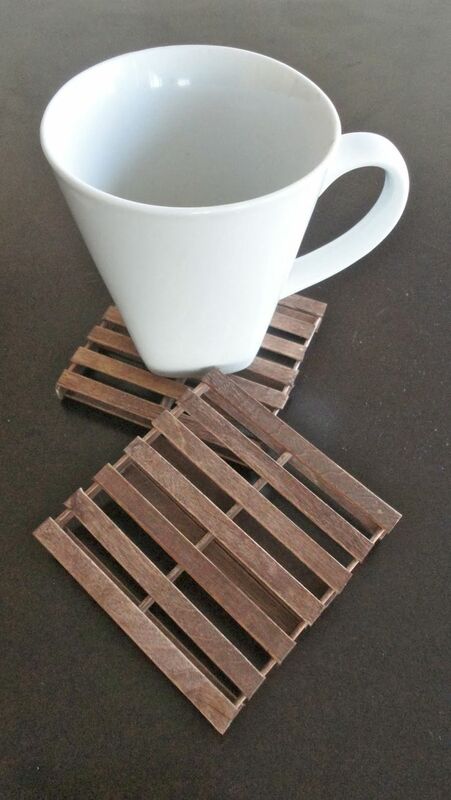 These pallet coasters seem easy enough and are so on trend! Okay, so our next few suggestions operate under the pretence that most guys love bacon. Forgive us for making this assumption! But really, don’t most guys love bacon? 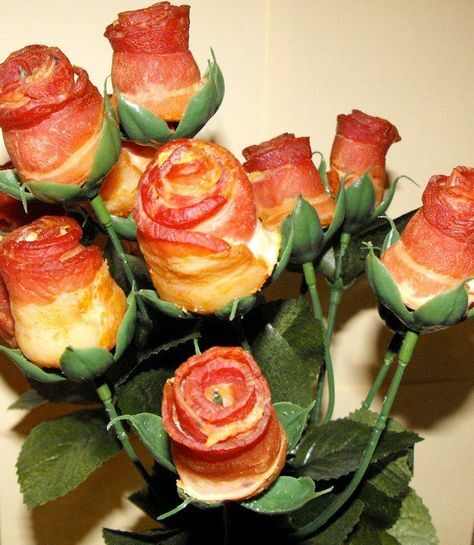 This bacon roses idea is the ultimate in Valentine’s Day bacon gifts. If you’re a little bit ambitious, this could totally be done in a couple of hours and we think any bacon-loving guy would love it! 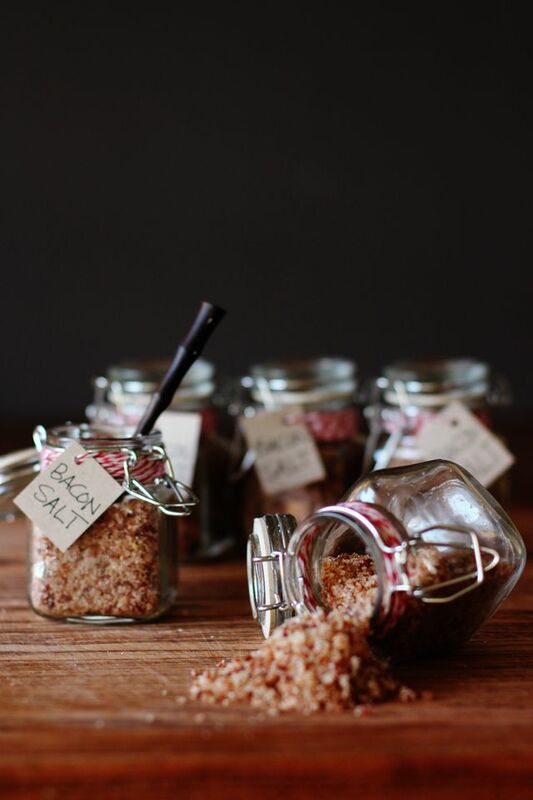 A great gift for a guy who enjoys cooking and loves bacon, this recipe for bacon salt is sure to please. 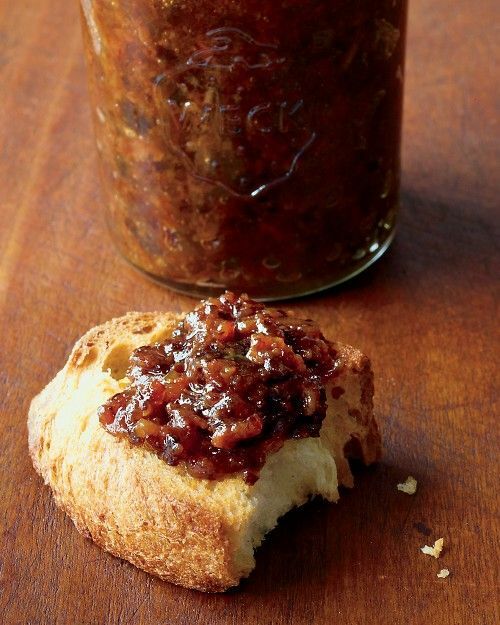 In a similar vein as the bacon salt, this recipe for bacon jam pairs well with a ton of savoury recipes. 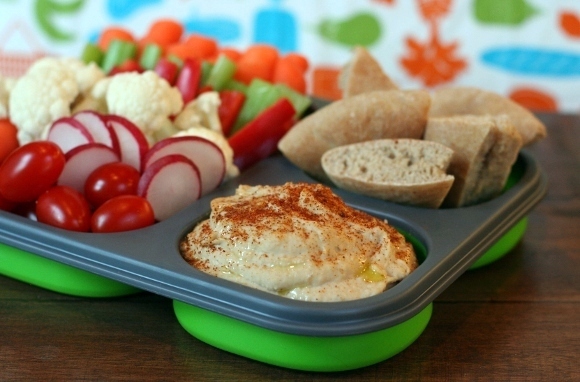 You could even pick up a baguette and enjoy it together as an appetizer on Valentine’s Day! Some guys just like to hold onto empty liquor bottles. If yours is one of them, you probably have easy access to an empty 26oz bottle. 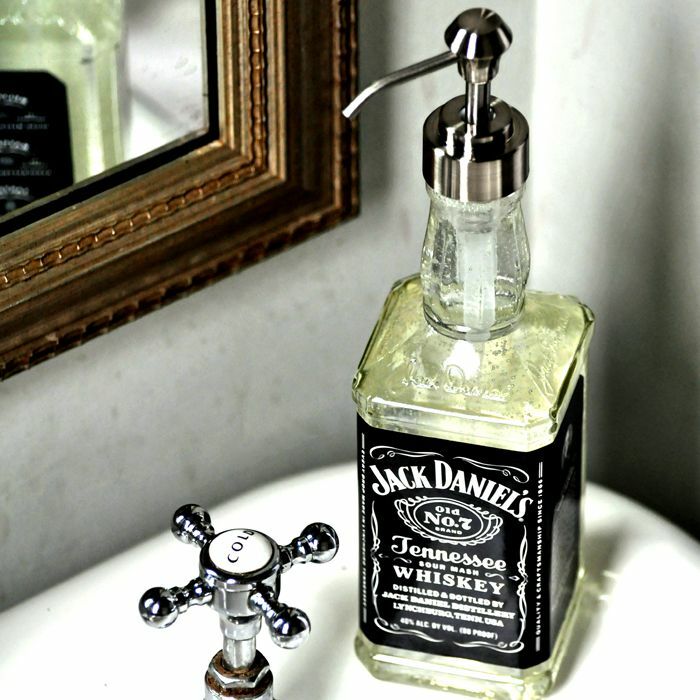 Earn extra points on this one if you can use your man’s favourite brand to make this unique soap dispenser. It is also important to recognize that a gift may not be the most meaningful thing you can do for your sweetheart. For some people, simply spending time together can mean the most. Others may really appreciate an act of service like having their car detailed or their closet organized. Whatever you decide to do, we hope that you enjoy the sentiment that comes with Valentine’s Day and that you spread love and joy to your nearest and dearest in the way that means the most to them. Here’s to everyone in Saskatoon getting spoiled with thoughtful gestures tomorrow!